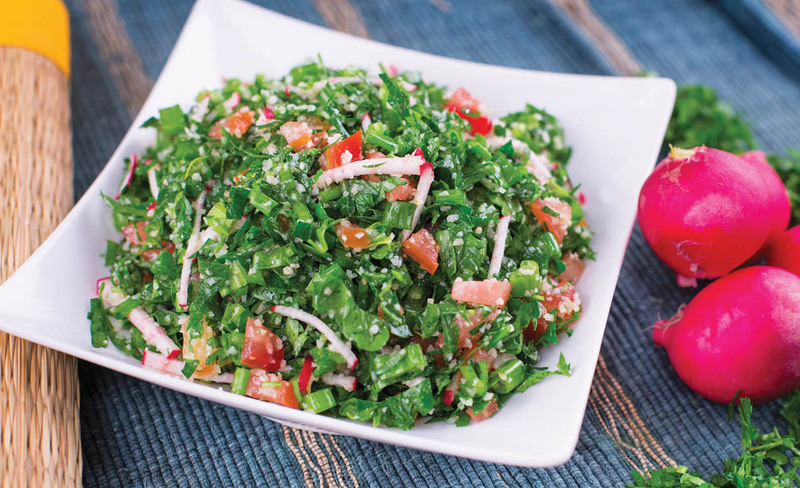 Lebanon’s most famous salad made of crunchy mix herbs, cucumber, tomatoes and pita bright with flavour of sumac. 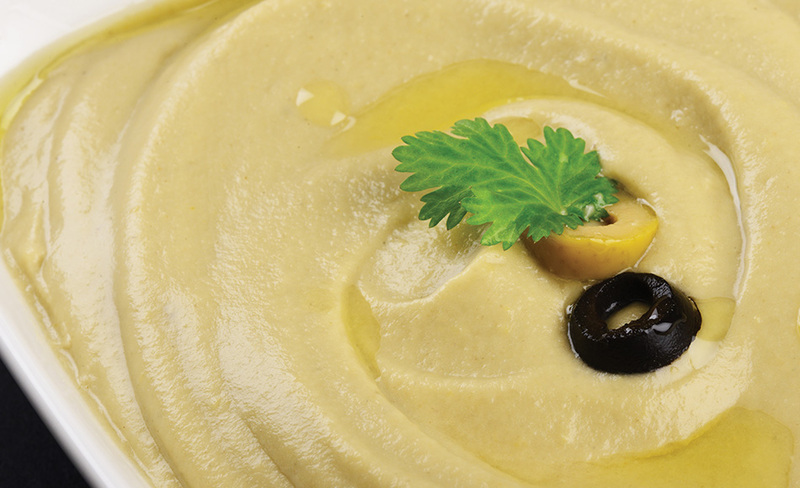 Delicious and spicy egg plant dip originating in the middle east. 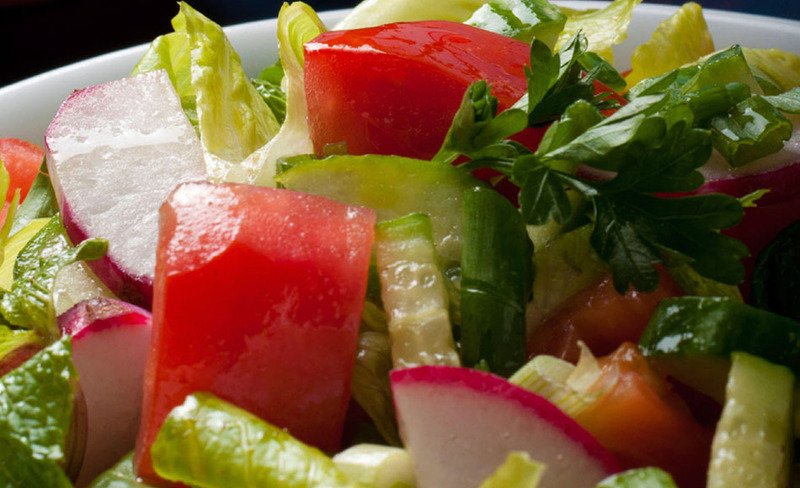 A salad made of chopped lettuce, capsicum, tomatoes and cucumber in a olive oil dressing. 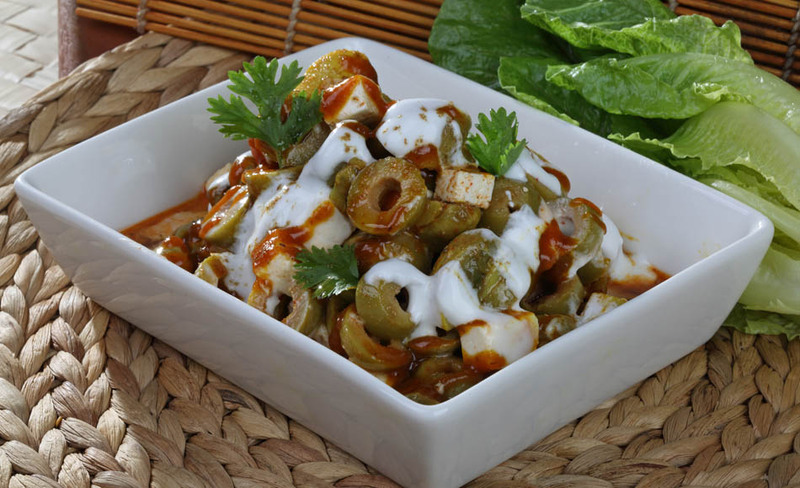 A salad made out of olives, paneer, mushrooms in a yoghurt based dressing. 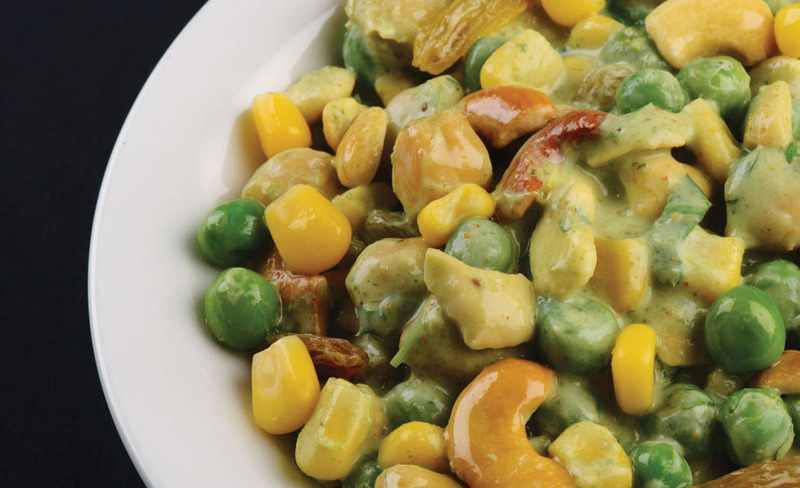 Salad made with chickpeas, nuts, raisins, green peas, fresh corn with mint flavoured dressing. 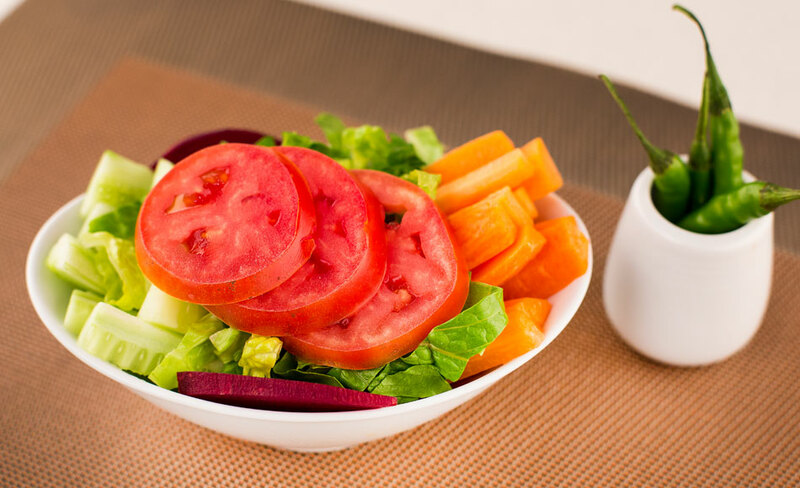 Crudities of carrot, tomato, radish and cucumber with a dash of lemon and rock salt. 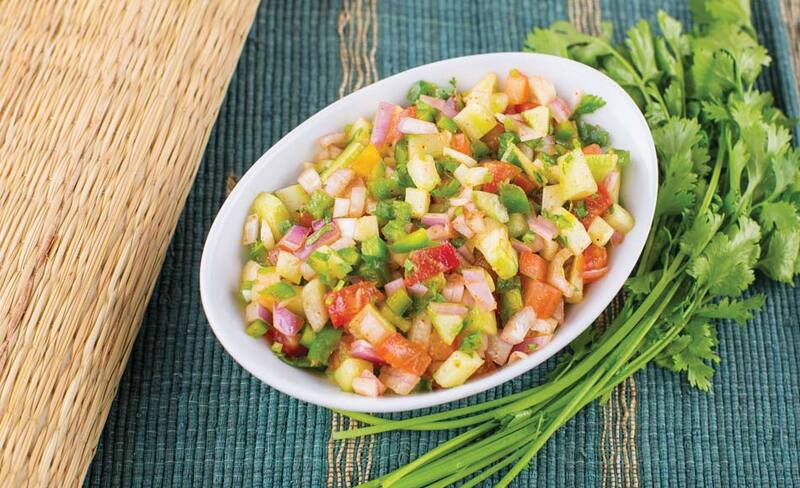 Salad made with combination of chopped onion, tomatoes, cucumber, green chillies and chopped coriander in a lime dressing. 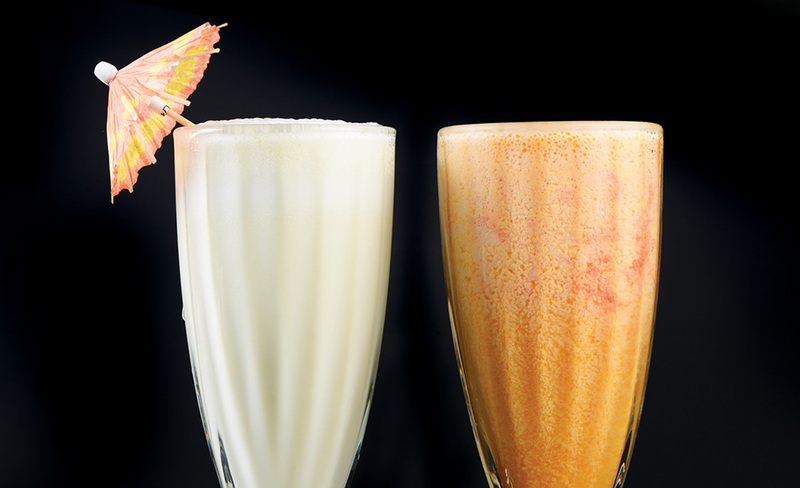 A choice of mixed vegetable/boondi/pineapple and yoghurt flavoured with pounded cumin and fresh coriander. 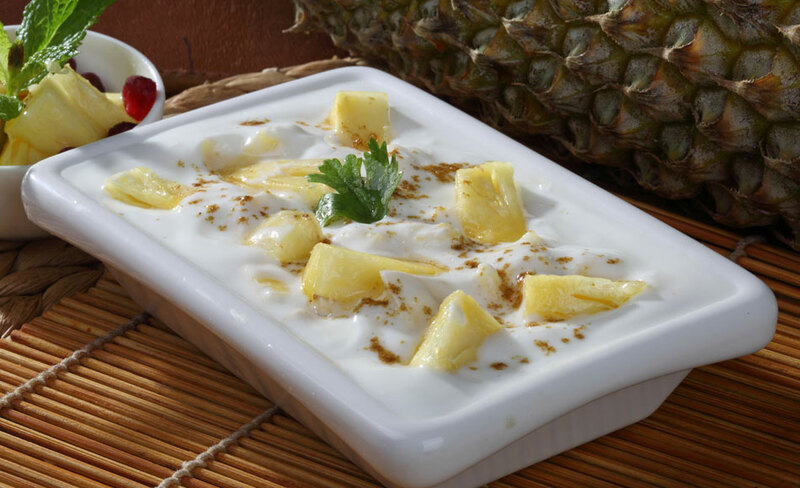 Spiced yoghurt with pinenuts and raisins. 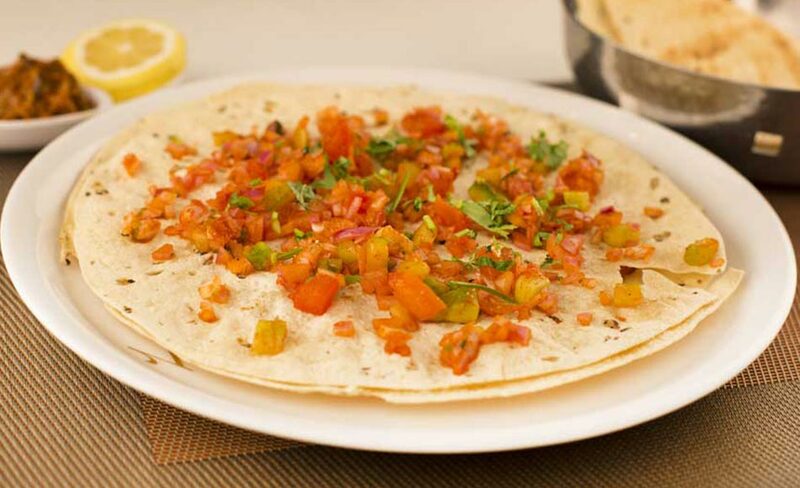 Fried lentil papadums topped with a tangy mix of onion, tomato, green chillies, coriander, lemon juice and chaat masala. 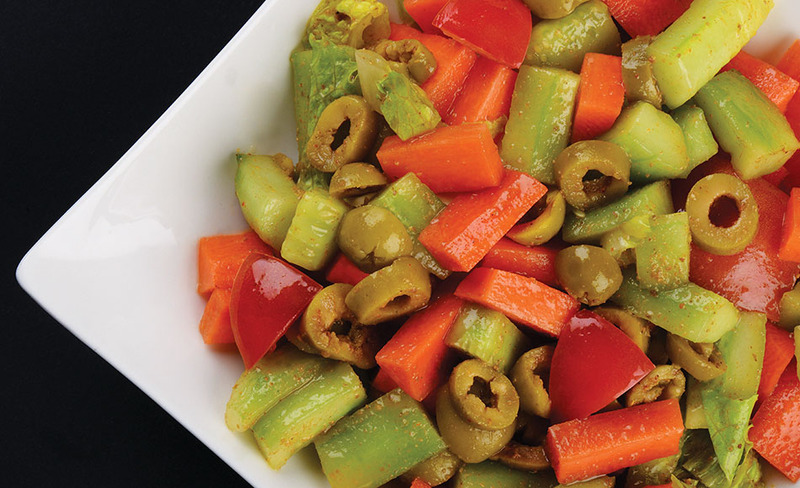 Crispy Indian lentil pancake served roasted or fried.